Yair Rodriguez and Andre Fili will battle this Saturday (April 23, 2016) at UFC 197 inside MGM Grand Garden Arena in Las Vegas, Nevada. In a match up of highly talented prospects, what adjustments must be made for either man to claim victory? Find out below! Ultimate Fighting Championship (UFC) Featherweight prospects Yair Rodriguez and Andre Fili will scrap this Saturday (April 23, 2016) at UFC 197 inside MGM Grand Garden Arena in Las Vegas, Nevada. 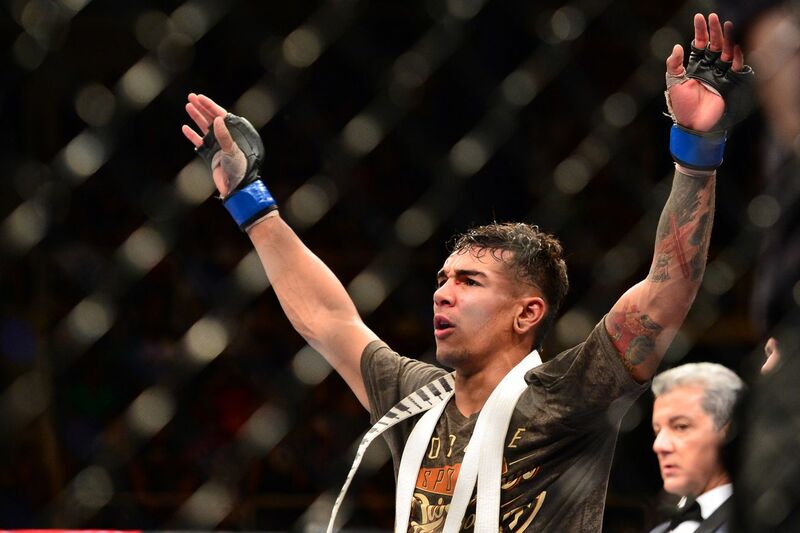 In just three fights inside the Octagon, Rodriguez has already made a name for himself as a fighter to watch. More than anything, that acclaim comes thanks to his flashy techniques, which frequently include a jump or spin and can be quite devastating. Meanwhile, Fili is still looking to build his first win streak inside the Octagon. Coming off a dramatic head kick knockout, this is Fili’s opportunity to topple a highly regarded foe and bring plenty of eyes to his own name. Keys to Victory: Rodriguez is a Tae Kwon Doe black belt … and it definitely shows. The Mexican fighter routinely mixes in wild kicks into his attack, and he’s been rather effective with them. In addition, Rodriguez has been shoring up his ground game at American Kickboxing Academy. In this bout, Rodriguez has to take advantage of his unpredictability and athleticism. Since Rodriguez doesn’t have any clear technical advantage — except perhaps in flying attacks — it’s important that he capitalizes on his unorthodox techniques.